Want a quick-reference guide that will help you make the right objections in the courtroom? The Command the Courtroom Objection Cheat Sheet organizes all the possible reasons you might be able to object to the other side's evidence or witness testimony. 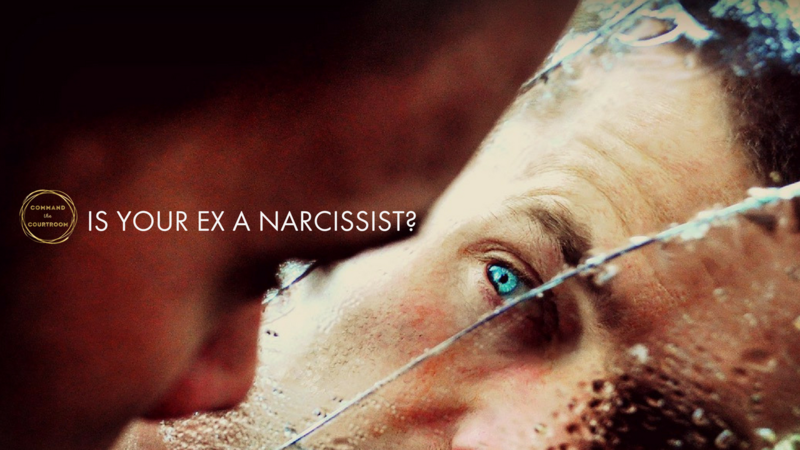 Not only that, but it gives you space to list what pieces of your ex's evidence you are going to try to block, along with room to write down the legal objection you're going to make. 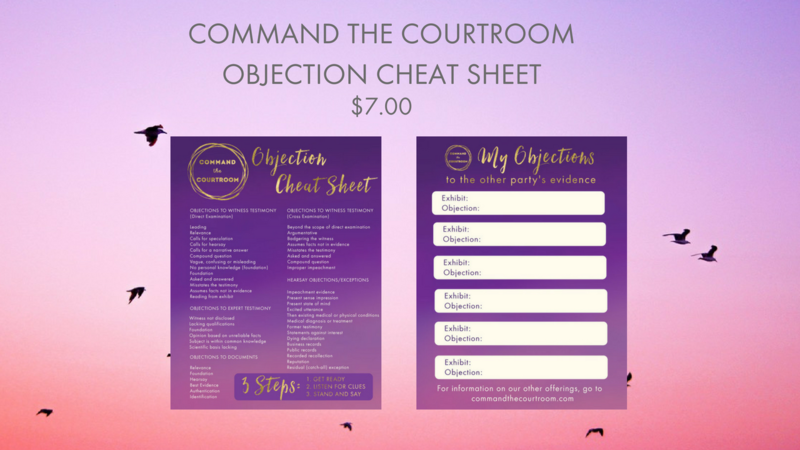 With the Objection Cheat Sheet, you'll feel more confident that you won't be at a loss for words when it comes time to object during your divorce or custody trial. When you are in your custody or divorce trial, there will be evidence you WILL NOT want the judge to consider. The Objection Cheat Sheet is an easy guide where you can reference all the legal grounds for objecting to witnesses and evidence. Use the guide as a jumping off point for learning about legal objections and take it with you to refer to during your divorce or custody trial.